Simply put, a sustainable diet is one with a low environmental impact which contributes to food and nutrition security and a healthy life. The food production on this planet, as it stands, is unsustainable as far as it is destructive and ultimately detrimental to our health, and the earth. If we are to feed a growing global population healthily, fairly and sustainably, within the earth’s boundaries, we must reduce the worldwide livestock product consumption. Sustainable agriculture would imply a system whereby the production of food, or any other plant or animal products utilising farming techniques, serves to protect the environment, public health, human communities, natural resources, and animal welfare whilst reducing greenhouse gas emissions and halting biodiversity loss. Sounds like a big task, but it is essential to the well-being of future generations. How do I go about eating sustainably? 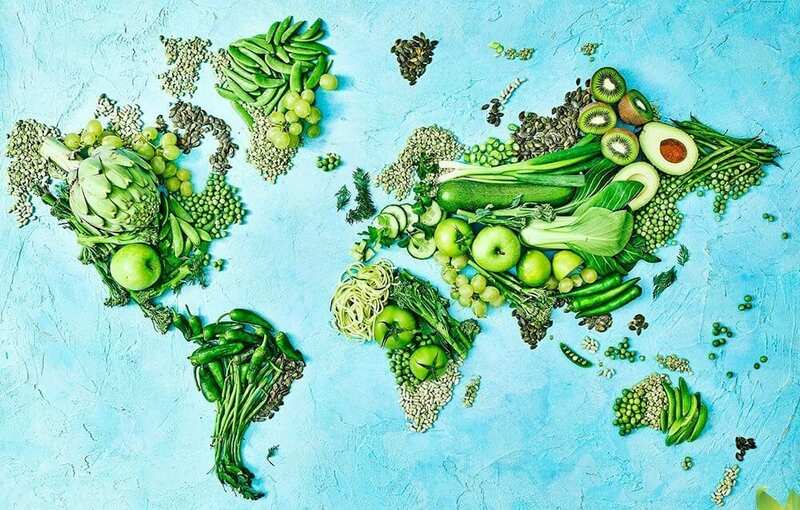 Eat less and better; a straightforward statement that could change the way we look at our diets and overall health whilst pushing for a better future for our planet and it’s inhabitants! Let us expand on how and what that can mean for you. If we all reduce our intake of animal products – this means all byproducts (milk, cheese, eggs, food containing animal fats and other dairy products) not just meat – this could make a huge positive impact on the planet’s resources and future. All meat production has a high impact in terms of greenhouse gas emissions, eating less of it and it’s byproducts will reduce this. A more plant-based diet will assist in reducing freshwater withdrawals and deforestation; raising and transporting livestock requires considerably more food, water, land, and energy than plants. Reducing the demand may allow for more nature-friendly systems easing the pressure on the environment, nature, and landscapes. This more nutritious and varied dietary approach is also a LOT better for you and reduces many serious health risks. Seek out sustainably sourced fish and seafood. Go local, make sure they are caught or farmed using unharmful methods to habitats and other wildlife, check the product is not on the “avoid” list – those that are overfished or caught or farmed in ways that harm other marine life, or the environment. When meat (or any animal product) is on the table make a conscious effort to select produce which has been sustainably farmed prioritising systems that ensure high standards of welfare for livestock. This means that livestock live in well managed extensive conditions that enable natural behaviour, support good health, including enjoying a natural diet, and that they are bred and kept in conditions that support their resilience. Unless we have direct experience of conditions on a particular farm, the simplest way of doing this is choosing products with a credible animal welfare certification. Choosing ‘better’ meat (animals reared on local food sources, home-grown fodder, and native foodstuffs) would also reduce our reliance on unsustainable soy. Select products that require minimal antibiotic use (products produced intensively). This is a key goal for reducing environmental impacts. Avoid packaging by utilising local outlets such as farmer’s markets, butchers, smaller specialist stores, and only purchase a proportionate amount; buy what you need and will actually consume. At the supermarket opt for the loose fruit and vegetables and refrain from using plastic. A suggestion when purchasing meat is to select a variety of cuts to help prevent the majority of a carcass being discarded as waste. Generally people go for the more obvious and popular sections of the animal and so the less popular pieces may go to waste. Develop a closer relationship with your food; understand where it was produced and how, know what you are actually eating. A shift in public engagement with the production of food is essential to our future on this earth. Attitudes and food behaviours need to push towards health and sustainability in order to avoid the destruction of environment and the decline of human welfare. Here at the School of Natural Health Sciences we offer a diploma correspondence course in Ethical & Sustainable Eating. 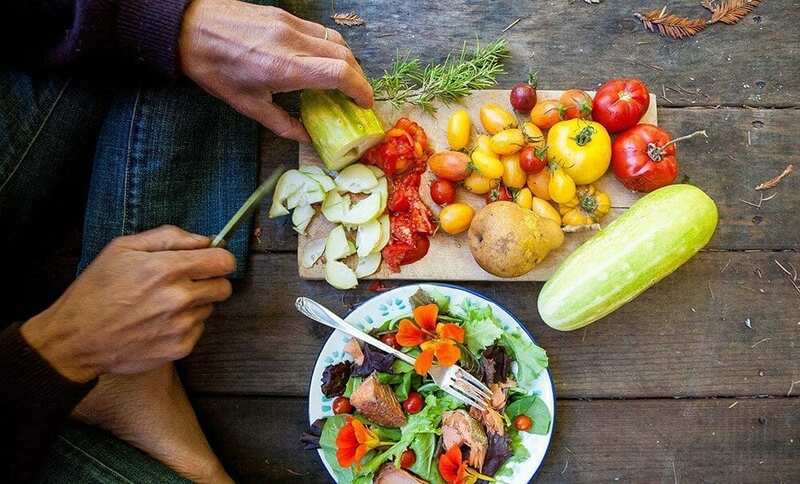 The course aims to provide an engaging insight into sustainable and ethical eating, helping health conscious individuals follow a balanced diet whilst designing more environmentally considered eating practices. Become part of the much needed change!